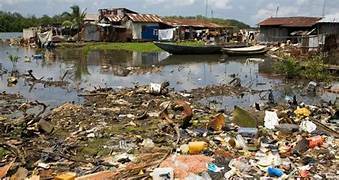 Nigeria’s Huge Wetland Under Siege, by oil spillage and other pollution. Africa’s largest wetland and third largest drainage basin is being progressively destroyed by extensive dam construction, oil industry carelessness, general human negligence and abuse — and sabotage. The Nigerian delta has the highest biodiversity on the planet. At risk are extensive mangrove forests, fish breeding grounds, declining wildlife and human usefulness. The weakened system is becoming a banquet for various invasive species. Nigerians, pressure your governments to save your precious resources. Tourists, write, email or call the government with your concerns. Nigeria is supposed to be Africa’s superpower. It should act like it.